kids' school lunches more festive during Halloween. that you can pop into their lunches this week if Bento style lunches just aren't your thing. There are two 8.5x11 page sets of cute Halloween lunch notes. They are in a PDF format so that you can print easily from you printer. 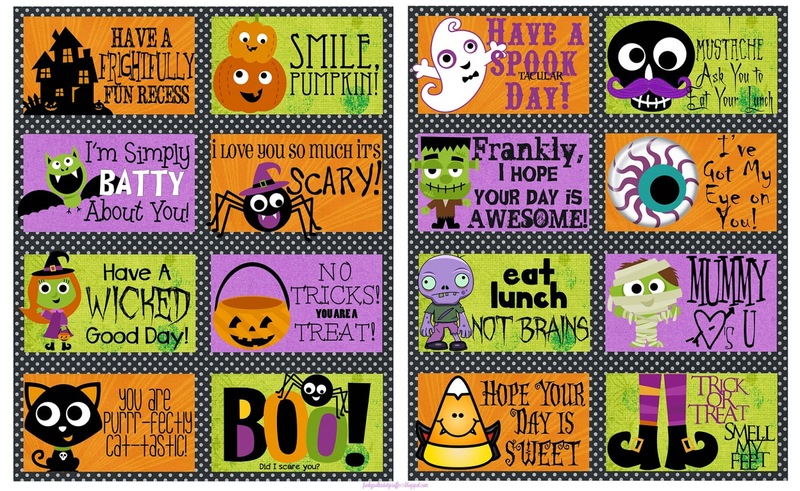 You can find both sets of Halloween lunch notes by following the link. And may your lunches be more festive! Thank you so much for the lunch notes, my kids will love them.